I was thinking about this recently, on a cool Spring day, in Italy’s Upper Tiber Valley, where my Umbria tour’s truffle hunt takes place. I was wishing Oprah were with us (and also calculating that if she really were with us, how much could I have charged the other people). We were gathered on private land, under a grove of oak trees that was planted 40 years ago to increase the chance of finding truffles and ward off competition to discover them first. Wrapped in scarfs and light jackets, cameras in hand, we met Giacomo, the hunter, and his dog, companion, and business partner Emma…for without Emma there would be no truffles. A morning’s worth of truffles. Thank you, Emma. Knowing she had a job to do, Emma was anxious and impatient, begging to be set free, her charcoal grey nose twitching frantically. Emma is a trained hunter, from a long line of respected hunters, and she was there to do a job. So, it was no surprise that when Giacomo removed her leash that she darted into the trees, leaving us behind. We tried to keep up, ducking under branches and watching not to trample small patches of wild asparagus. When Emma suddenly stopped to sniff the ground with intent, giving us time to gather around her, we watched in anticipation. Then, she squatted and…well, as my father would say, “did her business.” Thank God Oprah’s not here, I thought to myself. I would be horrified. With that done, Emma moved forward and away, dragging her nose on the leaf-covered ground, until she began to dig. Giacomo ran behind her and dropped to his knees. He called for Emma to stop, but she was quick, and she loves truffles: summer blacks, precious whites. They’ll all good. Emma popped the truffle into her mouth, but Giacomo was also quick and gently removed it from her jaw, showing us the 2-inch round nugget, one of the world’s most famous delicacies, in the palm of his hand. One by one, we excitedly sniffed the unique, earthy aroma. 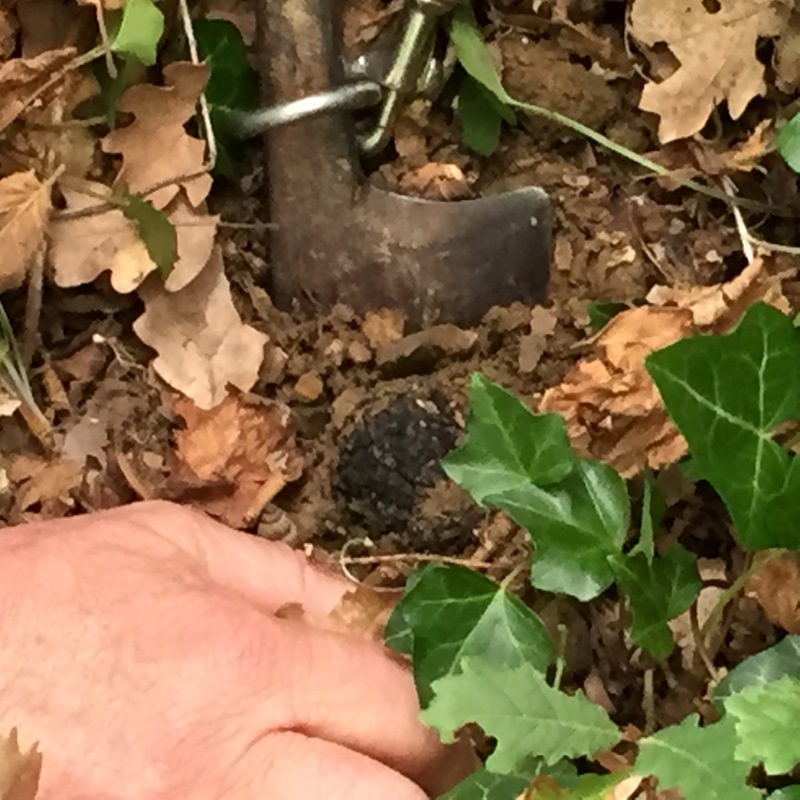 When we were done, Giacomo carefully covered the hole in the ground, leaving it exactly the way it was—so another truffle will grow in its place. Emma’s efforts were indeed rewarded, but with dog treats. 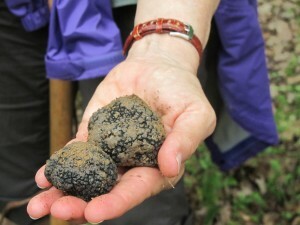 Emma finds “twins”–two truffles growing side by side. Emma loves her job. She thinks of it as an entertaining game; however, in Umbria, it’s big and very serious business. Umbria supplies 70% of Italy’s truffles. Fortunes are made, prized dogs stolen and sometimes even killed. It’s a way of life in these parts, not a hobby, and definitely not a game. Truffle hunting is deeply rooted in the Upper Tiber Valley, from the Roman times to the Renaissance, when truffle hunting was used as entertainment for noble families. 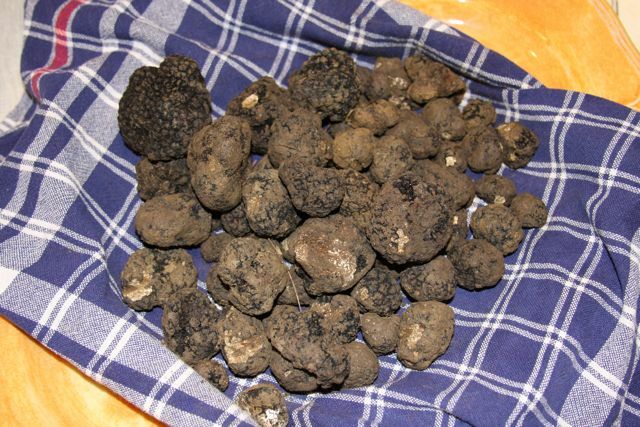 Due to Umbria’s favorable climate and rainfall, there’s a different truffle for each season of the year: two black varieties, as well as two white. 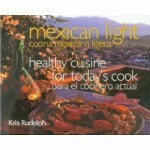 They have been used in central Italian cooking for centuries. 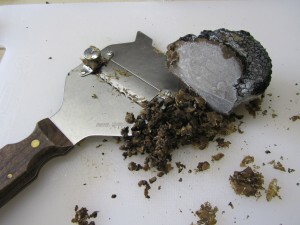 A spade helps remove the truffle, so not to damage it. 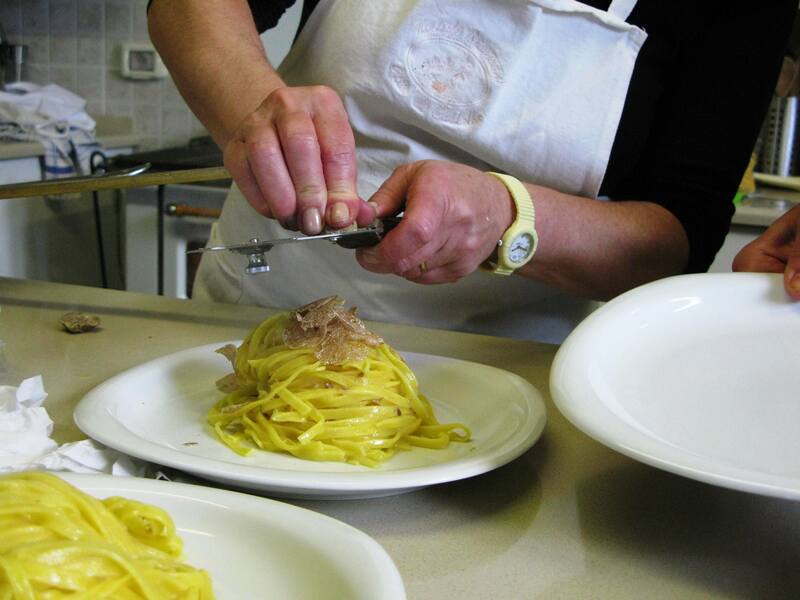 When it’s time for lunch, we gather in Gabriella Bianconi’s kitchen as she explains how to use truffles. 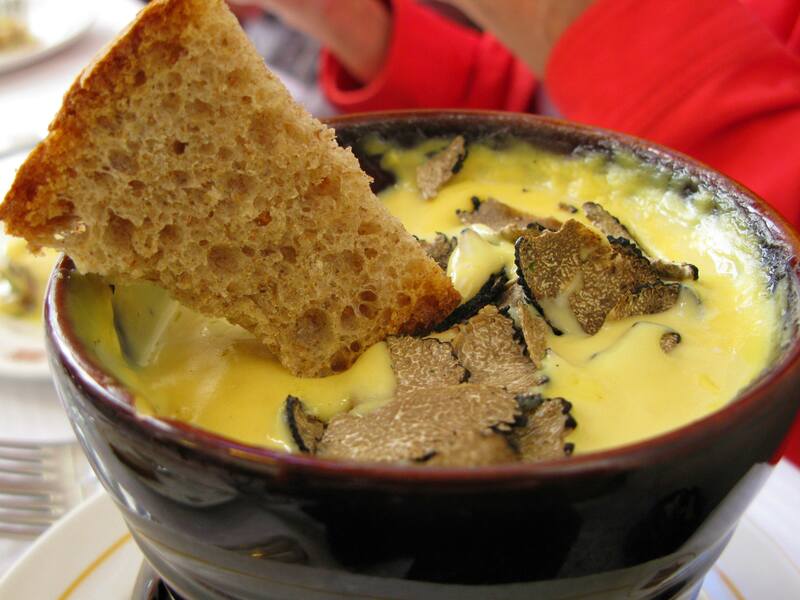 Normally shaved on pasta, eggs, gnocchi or meats, truffles are used sparingly and rarely cooked–the exception being white truffles, which are sometimes tossed in a pan of warm oil to heighten their flavor and then spooned on top of bread for crostini. Gabriella shaves truffles on the tagliatelli. I hate to break the news, but the truffle oil commonly found in America has nothing to do with truffles. Its intense aroma and flavor comes from a chemical compound that resembles it closely, but no cigar. It’s not real—it’s just flavored sunflower oil. But we feast on real truffles, shaved in front of our eyes, devoured with anticipation and curiosity by the newcomers and savored with love by those who long for their delicate taste once again…and that’s exactly why Oprah wanted to go on a truffle hunt. She adores them. The summer black in all its glory. Oprah recently went on her bucket list truffle hunt, and in Umbria, so I no longer have the satisfaction of knowing I’ve done something that she desires…but I do have the satisfaction of knowing there will be another hunt, another afternoon spent with Emma, enjoying the fruits of her labor. This entry was posted on Thursday, June 11th, 2015 at 9:50 pm	and is filed under Italy. You can follow any responses to this entry through the RSS 2.0 feed. You can skip to the end and leave a response. Pinging is currently not allowed.